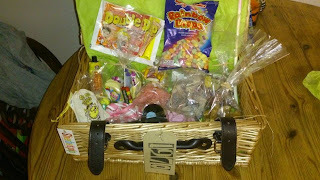 A little while ago I was lucky enough to win a sherbets pip sweet hamper in a competition run with Florette. 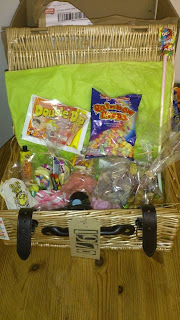 The prize was a amazing 1970 sweetie hamper from Sherbet Pip and this is my review of that product. 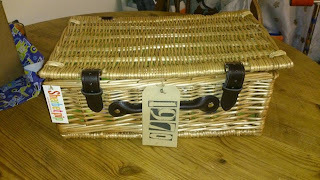 The hamper arrived very promptly and upon taking it out the box I was presented with a large wicker picnic style hamper with leather straps and buckles to fasten to the front. 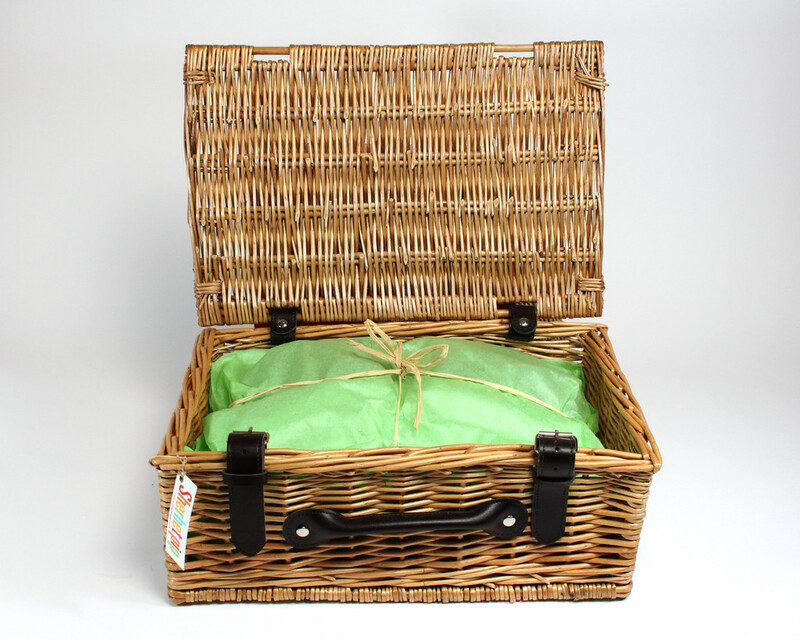 Once the lid was opened the contents was secured and covered with a green tissue paper and hand tied with hessian. "For those whose sweet years were the 1970s, this one is for you. As a guide we estimate "sweet years" between the ages of 7 and 14, the days when you had to earn your pocket money, walk or cycle everywhere and when your biggest decision was what shall I buy with my new pence this week?" It was a great product that all the family could enjoy as there were softer sweets that James could try and some more grown up sweets for me and my husband. Even my granddads eye lit up at the sight of the liquorice. All of the sweets were eaten and nothing went to waste. 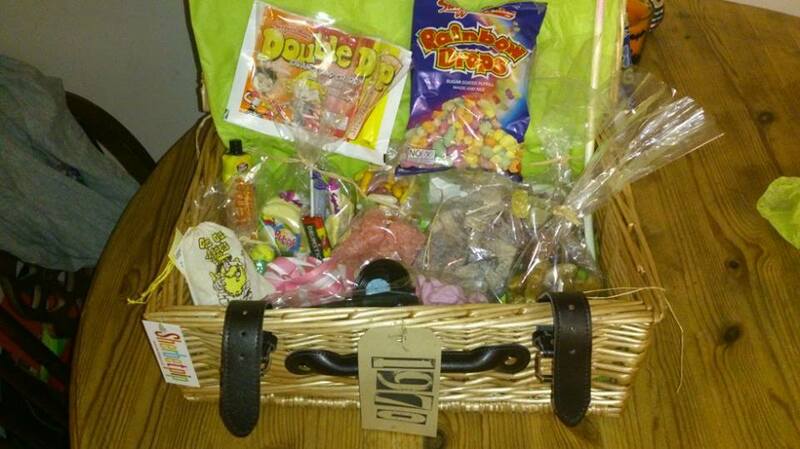 As you can see a very extensive range of sweets and all equally delicious! Each type of sweet comes individually packaged in small clear bags each one hand tied with a piece of hessian. 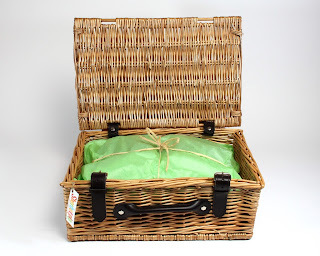 The large boxes cost £38 which is on first sight seems quite expensive for sweets however when you receive the hamper you can really tell the quality and thought that has gone into each hamper. 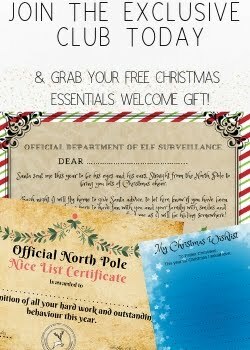 Each one provides a real blast from the past and there are lots of other years to choose from which include sweets relevant to the year you have chosen! You can even personalise your hamper with a personal message on the tag! All in all I would say this is a fab product and would be a great unique Christmas or birthday present for any sweet lover out there and although the price may seem a little high this really is reflected in the quality and nostalgia you get with each box. You can visit www.sherbetpip.co.uk to view more of there hampers and other products they sell.